What number of pixels is 36 megapixels. 4 frames per second continuous shooting in body only, about 6 frames per second will be used to DX mode with the optional battery pack. A little late to be released by the model resolution sought to eliminate the low-pass filter. Full HD video in 1920 × 1080/30p. Headphone jacks, can be input from an external device such as a PCM sound recorder. Corresponding to USB3.0. Be available in new small wireless transmitter. 86K pixel split control, AF, exposure, white balance, etc. compatible. Face Recognition AF features. Larger LCD monitor, automatic brightness adjustment, the structure is not cloudy. Two media CF card and SD card slot. Shutter durability of 200,000 cycles. Market price is about 300,000 yen. The announcement on October 26, released on November 24. I initially did not post this online, but after receiving some additional info I can now confirm with a 99% probability only the name "D800" and the sensor size of 36MP. The D800 will basically be a mini-D3x. Do not expect the same high ISO performance as in the D3s. This is probably Nikon solution to separate both product lines (before the D700 and D3 had the same sensor). Please note that I cannot yet confirm the remaining specs above but I believe most of them correct. I am still working on the details and will have some addition info later today or tomorrow. Stay tuned, it has begun! If the specs are out, expect announcement before the end of the year (I would say 30-60 days from now). 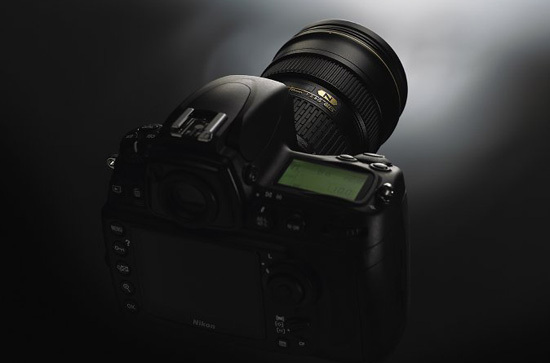 Poll: Nikon D800 with 36MP or with 16MP sensor? This entry was posted in Nikon D800. Bookmark the permalink. Trackbacks are closed, but you can post a comment.